Have I mentioned that my son Baxter has a peanut allergy? Oh, you saw my post on The Teal Pumpkin Project, Peanut Free Classroom Sign and Your the Sunbutter to my Jelly shirt. Anyway, Easter is another holiday that is all about the candy that gets moms like me wringing their hands. 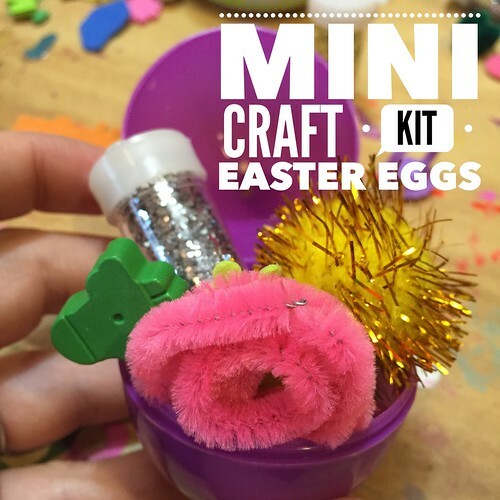 My motto is "give crafts, not candy" and Easter eggs are no exception. 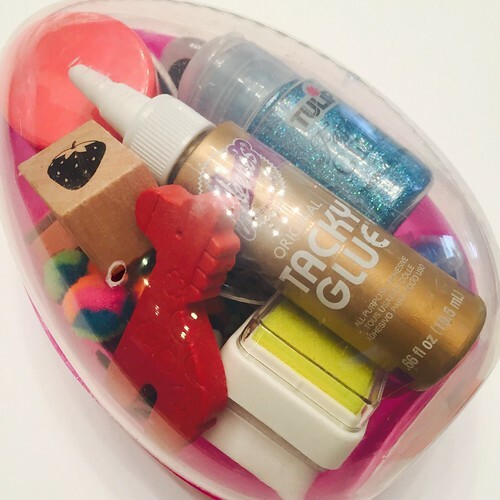 My daughter had to bring non-candy filled eggs to her class for an egg hunt and I decided to stuff them with craft supplies. A piece of chocolate is gone in a few minutes, but googly eyes and Tacky Glue are forever. Size is your only limitation with these eggs. I made some smaller eggs for my daughter to take to school and some larger ones for each of my children. 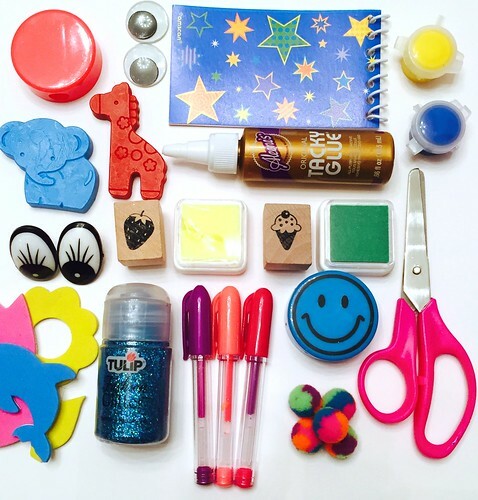 Stickers, coiled pipe cleaners, small notebooks, mini gel pens, erasers, pencil sharpeners, pompoms, scissors and stamps are all good ideas. Even if you don't have food allergies on your mind these craft supply stuffed eggs are super fun for the kids to find. Think beyond the candy this Easter!